Hi Bronwyn, I would like to speak with you briefly to see if you're a good fit to coach me. Please contact me at your earliest convenience. Tina Lynn Baldwin CTACC, HFCP, MBW, R.M.T., 5th Dan. Hi Tina Lynn, I would like to speak with you briefly to see if you're a good fit to coach me. Please contact me at your earliest convenience. Hi Casey, I would like to speak with you briefly to see if you're a good fit to coach me. Please contact me at your earliest convenience. Hi Carly, I would like to speak with you briefly to see if you're a good fit to coach me. Please contact me at your earliest convenience. Hi Perrin, I would like to speak with you briefly to see if you're a good fit to coach me. Please contact me at your earliest convenience. Hi Mallory, I would like to speak with you briefly to see if you're a good fit to coach me. Please contact me at your earliest convenience.  Hi Sujatha, I would like to speak with you briefly to see if you're a good fit to coach me. Please contact me at your earliest convenience. Hi Scott , I would like to speak with you briefly to see if you're a good fit to coach me. Please contact me at your earliest convenience. Hi Hayley Mathews, I would like to speak with you briefly to see if you're a good fit to coach me. Please contact me at your earliest convenience. Hi Nomi, I would like to speak with you briefly to see if you're a good fit to coach me. Please contact me at your earliest convenience. Hi Frances, I would like to speak with you briefly to see if you're a good fit to coach me. Please contact me at your earliest convenience. Hi Joan, I would like to speak with you briefly to see if you're a good fit to coach me. Please contact me at your earliest convenience. Hi destiny, I would like to speak with you briefly to see if you're a good fit to coach me. Please contact me at your earliest convenience. Are you a Colorado Health and Fitness Coach?